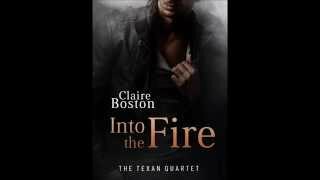 Claire Boston is a contemporary romance author who enjoys exploring real life issues on her way to the happily-ever-after. She writes heart-warming stories, with resilient heroines and heroes you’ll love. In 2014 she was nominated for an Australian Romance Readers Award for Favourite New Romance Author. When Claire’s not writing she can be found creating her own handmade journals, swinging on a sidecar, or in the garden attempting to grow something other than weeds. Claire lives in Western Australia with her husband, who loves even her most annoying quirks, and her grubby, but adorable Australian bulldog. 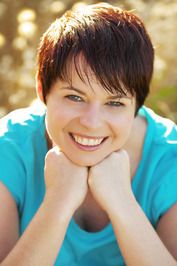 You can connect with Claire through Facebook and Twitter, or join her reader group here. To ask Claire Boston questions, please sign up. What Goes on Tour is part of a series but each book in the series is a complete story. This means Adrian and Libby appear in the other three books, but those stories deal with other heroes and heroines. The publication dates for the rest of the series are April 2015, August 2015 and January 2016. I’ll be joining the Australian Romance Readers Association for an author signing in Perth in 2019. Guests will include Sherrilyn Kenyon and Celeste Bradley. Tickets can be bought from Try Booking. Further details are on the ARRA website. The post A Romantic Rendezvous appeared first on Claire Boston. We’d love your help. Let us know what’s wrong with this preview of Darkest Longings by Susan Lewis. We’d love your help. Let us know what’s wrong with this preview of Nothing to Hide by Claire Boston. We’d love your help. Let us know what’s wrong with this preview of The Barista's Guide To Espionage by Dave Sinclair. We’d love your help. Let us know what’s wrong with this preview of A Good Man Gone by A.W. Hartoin.